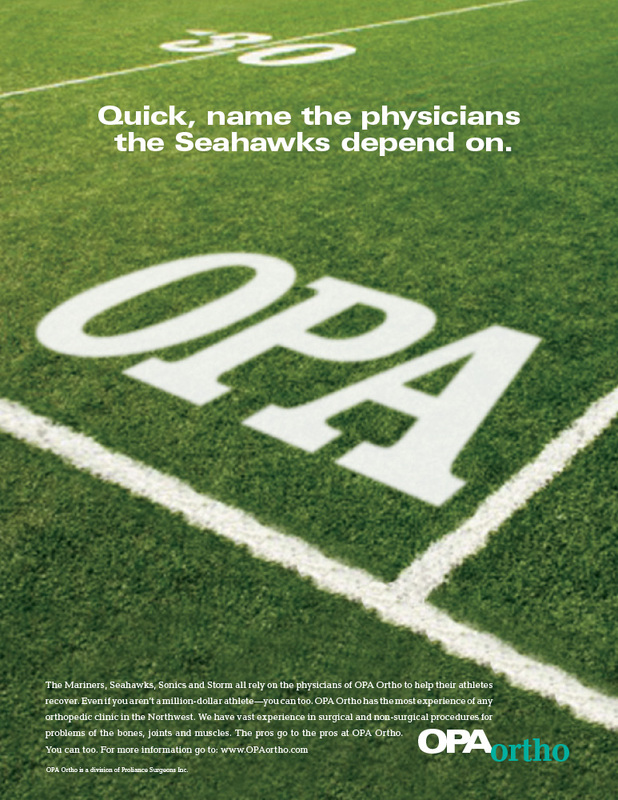 Description of Work If you have a knee or shoulder problem wouldn’t you like to see the same doctors who treat Seattle’s professional sports teams? Of course you would. 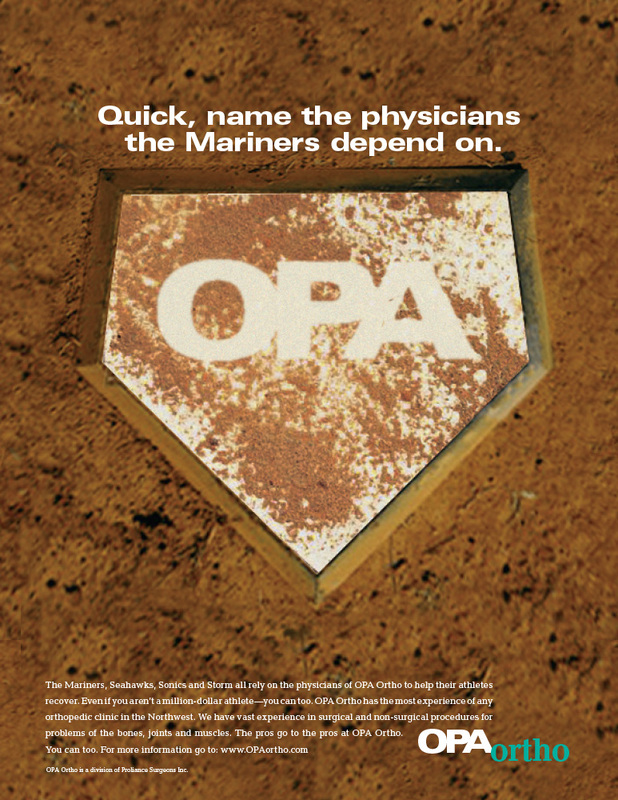 Our marketing effort leveraged the fact that OPA Ortho’s doctors are the team physicians for the Mariners and Seahawks. 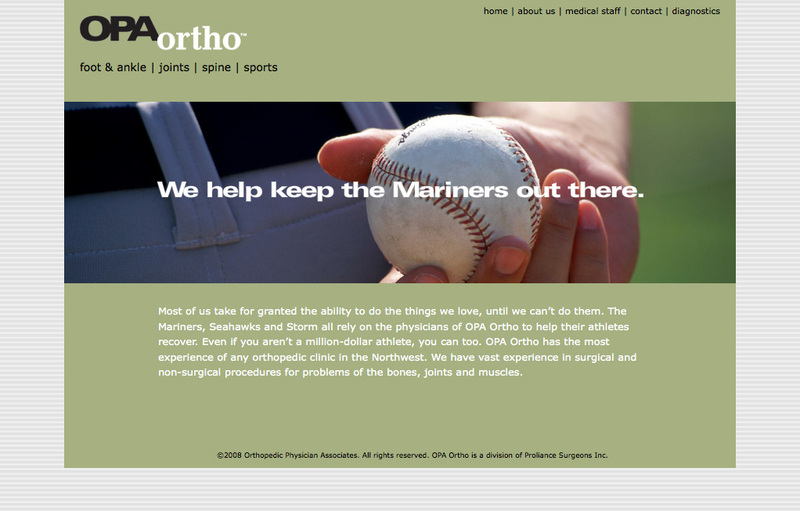 Good enough for them, good enough for you, right?